Life is not easy for a single woman and her daughter in post-war Japan. Satomi and her mother are making a living, but Atsuko’s presence as a smart, engaging, unmarried woman is seen as threat to the other women in their small, rural community. As such, Atsuko and Satomi were always made to feel as outsiders, a situation that was perhaps not helped by Satomi’s status as a musical prodigy. Atsuko is determined that Satomi’s life will be richer and more fulfilling than her own has been, discouraging her from a domestic future in favor of a life that will incorporate Satomi’s artistic abilities. When the unexpected happens, however, Satomi must learn how to make a new life for herself, because the life she has known is gone. The story picks up again with Satomi’s daughter Rumi living in San Francisco, having never known the mother she believes is dead. As new people come into Rumi’s life, however, she finds herself forced to examine her past and learn about the mother who has always been notable only in her absence. Not knowing anything about funerary practices in Japan, I found this passage both shocking and beautiful. The thought of a family gathering around the remains of a loved one and doing something so intensely personal as picking out the bones with chopsticks is somewhat mind boggling, but at the same time, what better way to reiterate the loving bond of family, that you take care of one another even after death. And yet, if this is your own mother, one who you loved dearly, how heartbreaking to have missed such a ritual, to have it attended to only by your stepsisters and their families. The place of women in the world over the last 50 years, the relationships between mother and daughter and their effect on the relationships of the next generation, the interaction of East and West. Add these things to a compelling story and sympathetic characters and you have a great novel. You also have Picking Bones from Ash by Marie Mockett. Recommended. 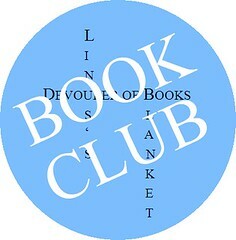 We will be discussing Picking Bones from Ash on March 22, 2011 at Linus’s Blanket.